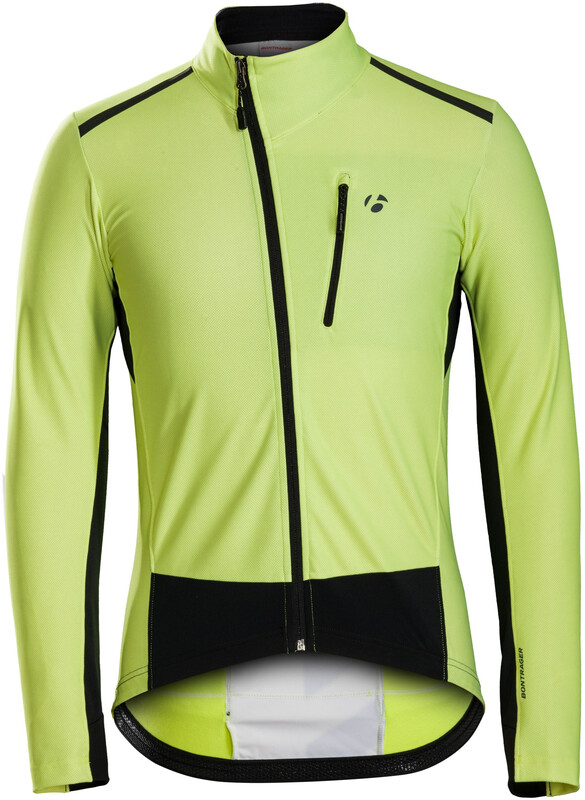 Profila Softshell fabric featuring Pixel reflective technology. Profila Thermal in the underarms provides breathability and warmth. Profila Thermal with Pixel reflective technology on the back. Three open back pockets and two zip-up security pockets. Reflective elements enhance visibility for maximum safety. Fitted - A streamlined fit for all-around cycling performance. 10,000 mm waterproof, 11,000 g/m²/24-hr breathability.